Transient and fragile materials attract me. They feel very precious to me. I am interested in time; Interested in the deterioration of objects and the built environment – in the marks of people, of rusting and decay leaving their narrative on them – the record of their life of use and disuse. 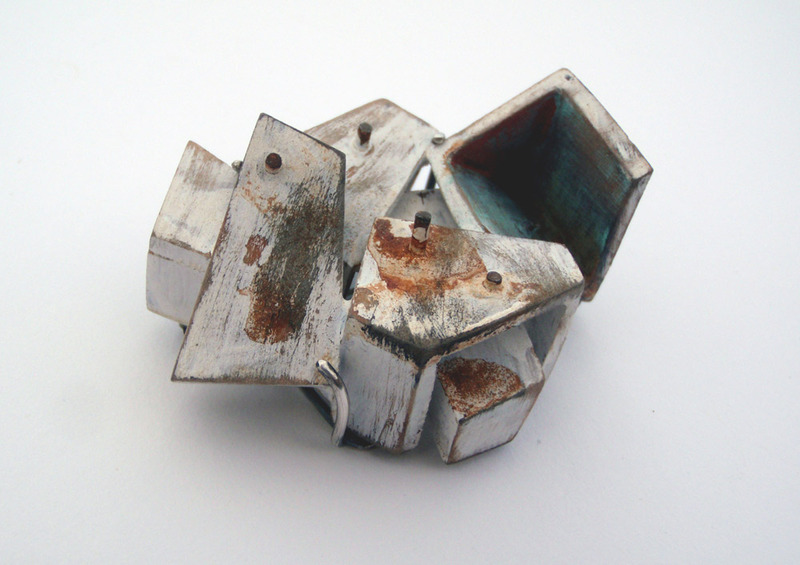 Untitled brooch, 2012, timber, sterling silver, found steel, rust, paint.